Located on the north side of Mount Jefferson (Sec. 5), Jefferson Park is one of Oregon’s wilderness gems. 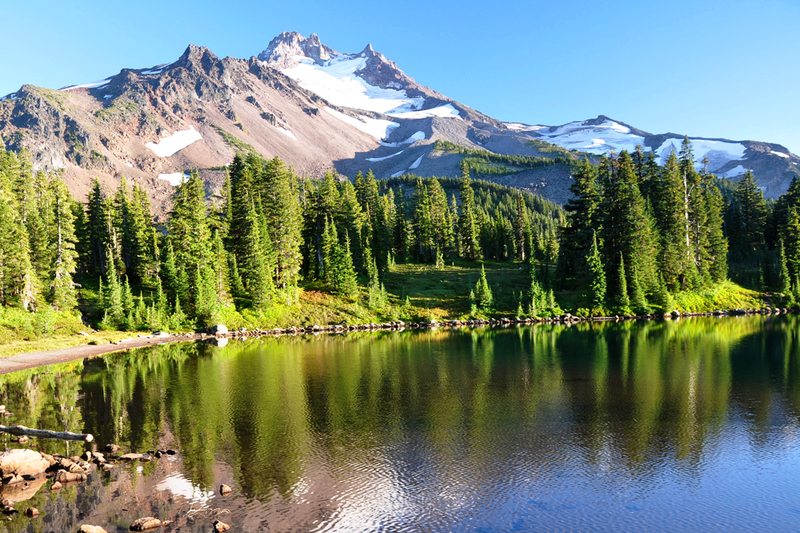 The area features several picturesque lakes, expansive wildflower meadows and stunning views of Mount Jefferson. Combined with its easy access from the Pamelia Lake trailhead and proximity to the PCT, it is a favorite destination for thru-hikes and weekenders alike. Unfortunately, the area has become a little worse for wear. Last year, in an attempt to reduce the increased impact over recent summers, Willamette National Forest implemented a new camping permit system for the area. It required visitors—including PCT hikers—to obtain backcountry camping permits and use designated campsites. The intention was good—to reduce impact and help preserve the area’s sensitive alpine environment. But the execution did not go off as expected, and actually resulted in greater impact to the area. As such, the Forest Service has rescinded the permit requirement to camp in Jefferson Park, effective this summer. The Forest Service asks that visitors to Jefferson Park still utilize the designated campsites in the area. There are currently 30 of these sites, distributed around Scout, Bays, Rock, Park and Russell lakes (see map). When designated campsites are not available, visitors should camp at least 250 feet from lakes, and exercise Leave No Trace principles when choosing alternative sites. Willamette National Forest is teaming up with Deschutes National Forest to consider new ways to help manage crowds and reduce impact in central Oregon’s favorite hiking areas. We will continue to post news and updates about these efforts as it becomes available. There are 30 designated campsites in the Jefferson Park area. Map courtesy of USFS. Backcountry camping permits are still required for Crater Lake National Park (Sec. 2), the Obsidian Limited-Entry Area (Sec. 4), and Shale and Pamelia lakes (Sec. 5). You can find more information on these permits, and how to get them, on our updated permits page.